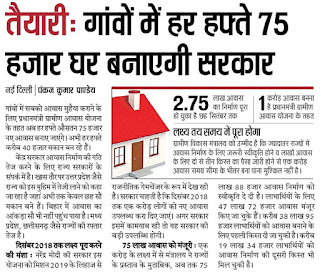 Pradhan Mantri Awas Yojana Gramin UP is to be Made 10 Lakh Houses in Rural areas for upcoming year 2018 to 2022. 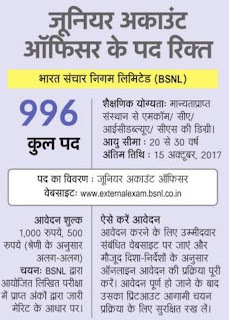 BSNL JAO Recruitment 2017 Application is invited for Engagement of 996 Junior Accounts Officer from the M.COM, CA, ICWA, CS Applicants. 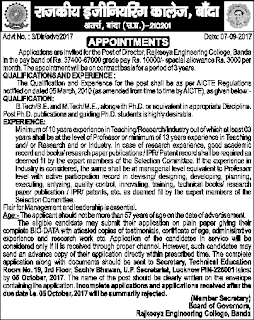 Rajkiya Engineering College Banda Applications are invited in the prescribed format for director recruitment at Engineering. Allahabad Museum Recruitment 2017 Vacancy in Sangrahalaya Latest News for Fresher’s Allahabad Museum Clerk Recruitment 2017. 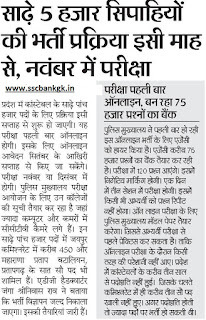 Deendayal Gramodyog Rozgar Yojana is a Welfare scheme for giving employment to youth of Rural areas. To Apply Check details below. Rajasthan Police Constable Recruitment 2017 Vacancy of 10539 to 12,540 Raj Constable Bharti Latest News Form Rajasthan Police Constable Bharti Recruitment 2017.